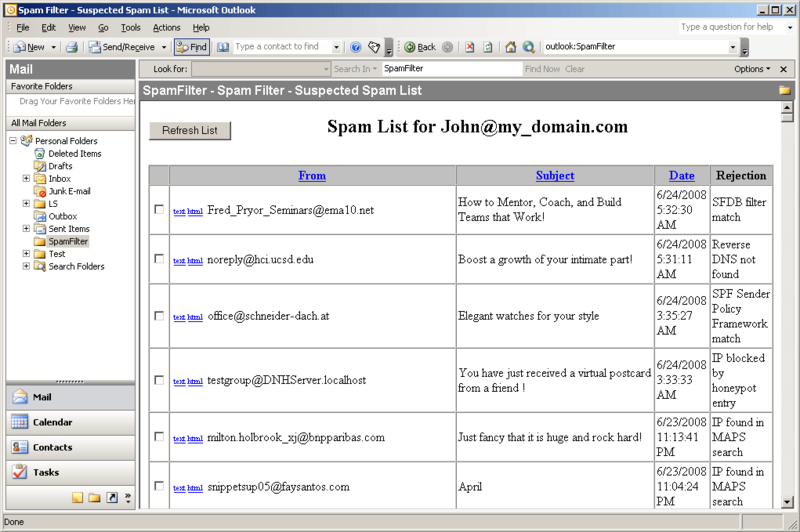 For corporations using Microsoft Outlook email clients, a very nice feature is the ability to display a "SpamFilter" folder within the Outlook client itself. This web-enabled folder then allows the end users to see their quarantined emails directly within their Outlook client without the need of an external web browser. From Outlook they can then view/deliver any emails in the quarantine.